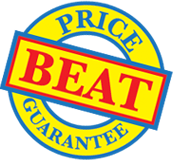 Plastic Binding Screws from 5mm up to 80mm backed by our Price Beat Guarantee. 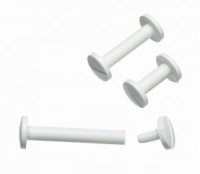 The secure, economical and corrosion-free way to fasten swatches when brass screws may be inappropriate. Non-scratch mouldings prevent damage to paper or swatch materials. Available in black or white colours from stock. Use to create pattern or sample book swatches of paper, plastic, board or laminate, point-of-sale kits, display headers and educational games. The sizes from 5mm to 80mm equal the barrel length in mm between the two screw heads.